When I first heard the lyrics to Fun's "We are young," I was snug on the couch watching "The Sing Off" and cheering at Ben Folds' new success. So, that should tell you something right there. I came to love the song. I'd sing it while dancing around the living room with a toddler around my legs. On that same episode of "The Sing Off," the contestants did a mash-up that included "Some Nights." Oh, I loved the lines, "This is it, boys, this is war - what are we waiting for? Why don't we break the rules already?" I felt emboldened, inspired, even. I wanted to go break the rules. Let me check myself, here. Breaking the rules, to me, meant moving my students' presentations outside. It meant breaking the project planning process wide open and letting the students design their own final products. My first year teaching, I turned 30. I wasn't the fresh-out-of-college, new to the adult world, teacher that some of my colleagues were. Still, we didn't have kids. My husband and I still rented. 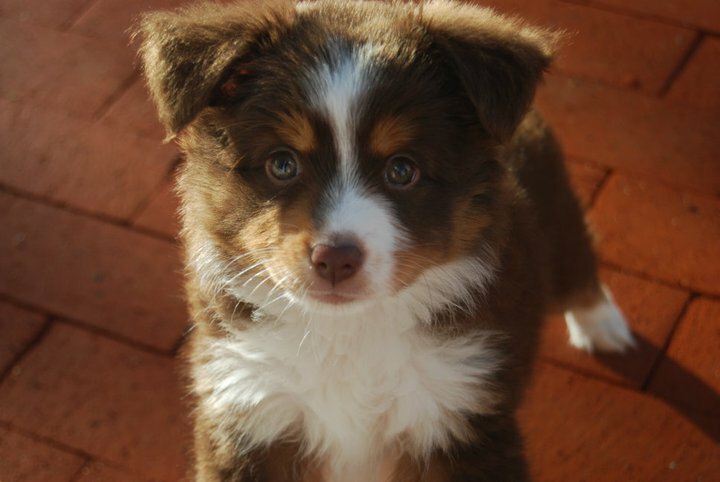 I trained for and ran my first few half-marathons with all my free time.We got a puppy that year. We were as young as we could be and still living an adult life - married with few responsibilities, both new enough in our careers to have just a few responsibilities but full of a sense of importance that we now had "real" jobs. I let my students bring in music for "Free Time Fridays." We had talent shows. I got to know them and everything they cared about so that I could turn that knowledge into meaningful, impactful lessons and projects. And then one day, a girl showed up wearing a dress from Target that I had in my closet at home. Have I mentioned that I teach middle school? At least we didn't show up wearing it the same day. That was my first wake up call, and they have come in waves ever since, more and more each year. I feel young. I wear Tom's and skinny jeans for crying out loud. I've just hit my stride with my "career career" (teaching) and my creative careers (photography, writing, etc.). I have so much left to learn (I'm full of what they call a "growth mindset) and the energy to learn it. I'm not a kid. I'm not going home and playing video games for a few hours (which I definitely did pre-kids!). While I do have parents holding me to standards, I also just bought a refrigerator. We own a house. We train new employees. We have two kids. 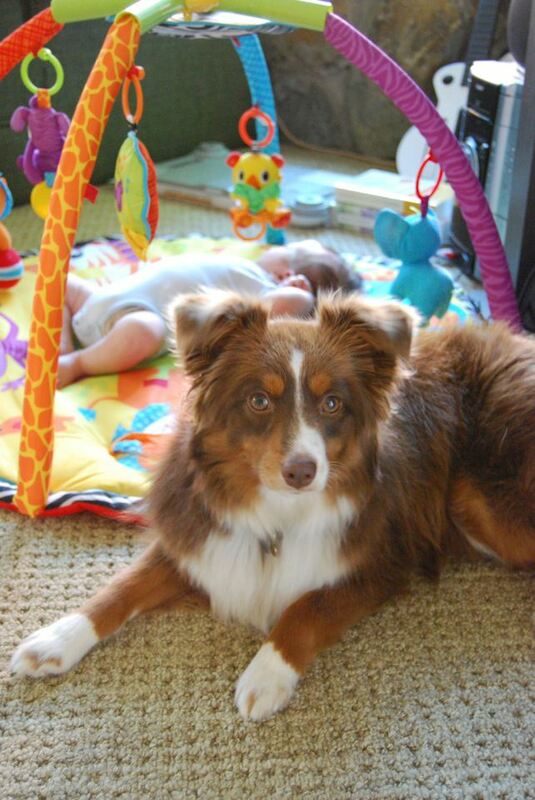 The dog is even a grown up, protecting, herding, and playing with the kiddos (please note, this favorite picture of mine is now almost four years old...). Yeah, yeah, sure, sure. 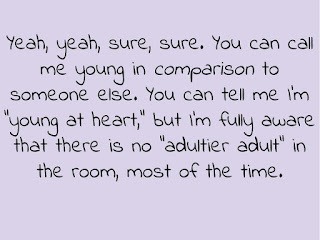 You can call me young in comparison to someone else. 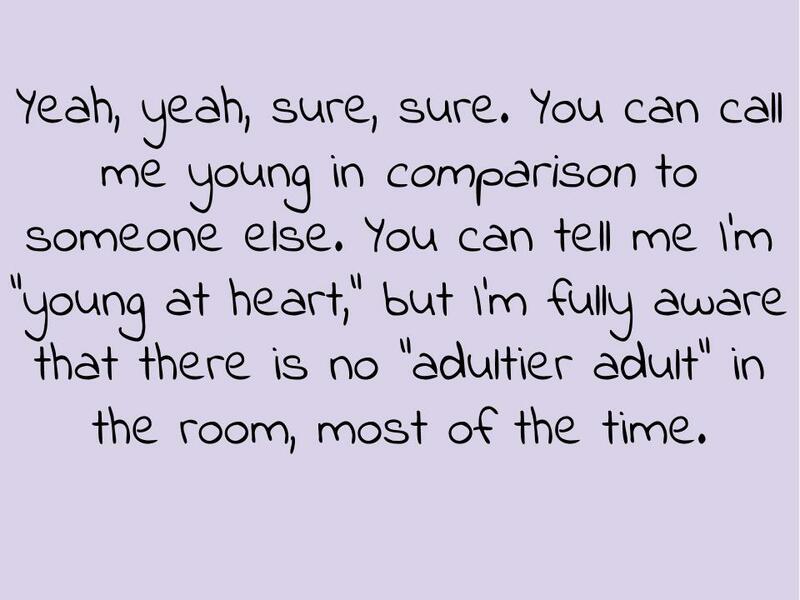 You can tell me I'm "young at heart," but I'm fully aware that there is no "adultier adult" in the room, most of the time. When we travel with family, my husband and I won't willingly pay to sleep in the worst room (or on the couch) anymore, because we have back issues. I increased the default font size on this very blog. We like Downton Abbey. I'm obsessed with "Fixer Upper." If I hear the song "Forever Young," I get teary, thinking of how fast my son is growing up. Sure, my students and I still share some musical tastes (if not for them, I would never have discovered Imagine Dragons), but I've made it a point to shop for clothes at stores other than Target. Was it becoming a teacher? Sure, spending my days with children makes me realize that I can't be one anymore. Was it becoming a mom? Sure, addressing my son's changing needs at school and my daughter's refusal to sleep makes me realize that I don't approach life the same way anymore. Was it the simple passage of time? That one I'm not so sure about...I see people, friends, in other careers or who don't have kids yet, and I feel like "young" would still describe them (or they would think it does). Whatever it is, I have to buckle down and be the adultier adult. Whether I have to push through disappointment or accept help when it's offered, I have to recognize that I'm the adult in the room. Oh man! I'm still not ready to grow up. Actually, I saw a reflection of myself walking into work today and saw how completely long my hair is. Am I too old to have long hair?? Ugh. Im just not ready. I'm definitely not fully ready - I love my long hair and just got pink highlights :). That is funny about having the same clothes as one of your students. I work occasionally part time in a library and when the teens come in after school most of them dress like well, they just rolled out of bed LOL But I've been in the same top a time or two as some of the other kids. Figure there is not much I can do about it. So sorry for the delay in responding! I have pink streaks in my hair right now, but you know what? When I was a kid, I was way too scared to do something like that. There's a benefit to getting older and learning that what others think matters a lot less than I thought. I was just thinking about this this week. I have been listening to a lot of audio books as of recently and realized that all but one of them have been young adult. I like those so much better than other books. Agreed! I used to be a Young Adult Librarian and adore YA Lit!